It’s no secret that we are big fans of role-play and imaginative play toys. 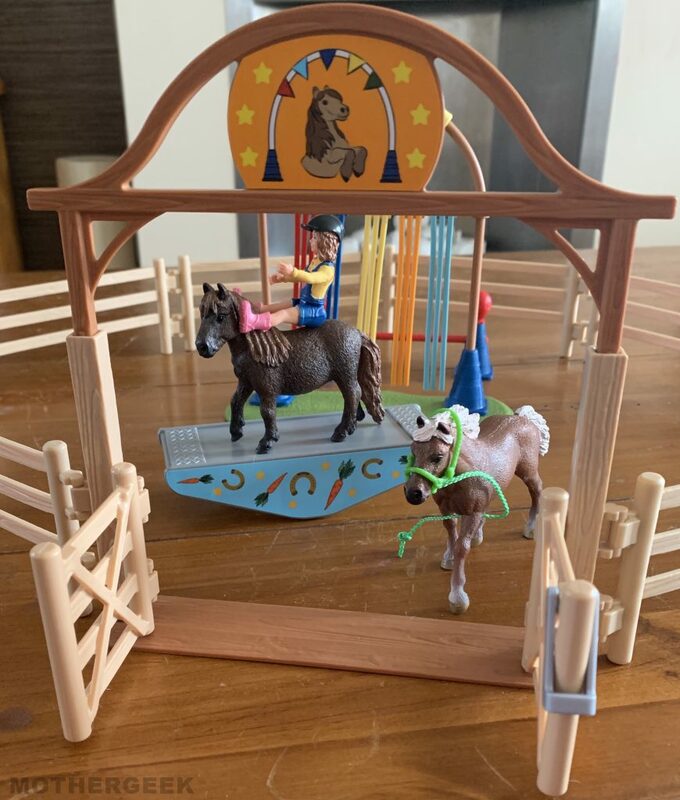 So when we were asked to review the new Schleich Pony Agility Training set, from their Farm World Collection, I agreed right away. The set is aimed at children aged 3-8 and has an RRP of £24.99. 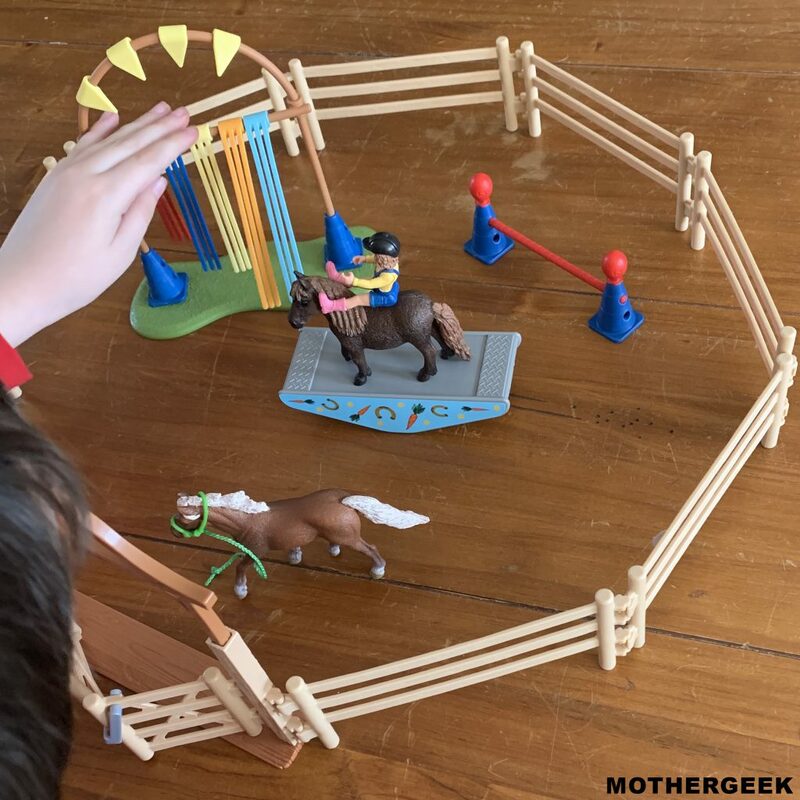 We have been big fans of Schleich Horses and ponies for years now – ever since we reviewed these ones. 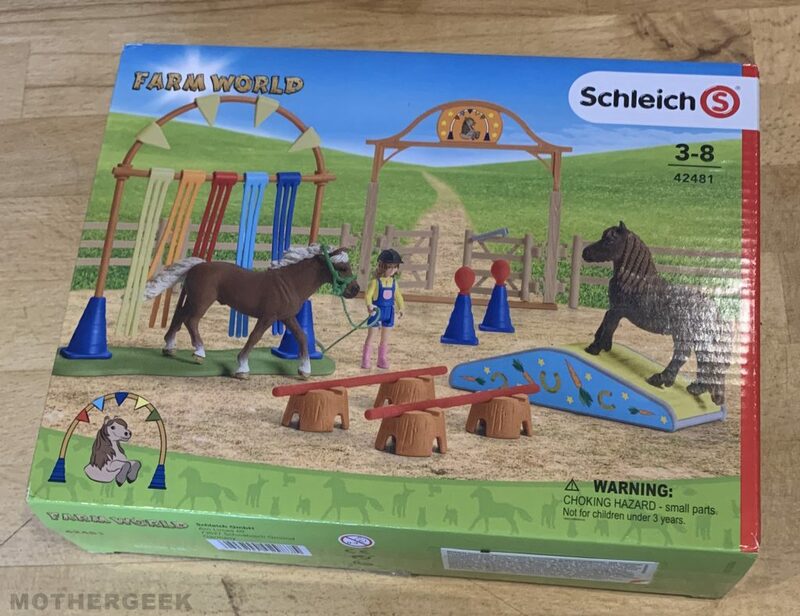 This new set is part of the Schleich Farm World range, and is available from April 2019. The Pony Agility Training Set is brilliant for wannabe Pony owners to put their Schleich ponies through their paces. The set contains lots of pieces, and some assembly is required. It was easy to put together though – thanks to the great instructions. Sam is 7 and has Autism. He took a real shine to this set, and repeatedly said “Horsey” as he moved the ponies around the paddock. The set can be used in several ways, and I loved how interactive it is. The Paddock gate opens and closes and the see saw can be turned over to be used as a ramp. Additionally, there are lots of options for arranging the jumps too. The attention to detail is brilliant – the Ponies in particular look so lifelike! I was a little disappointed that the girl couldn’t ride the Ponies, as her legs don’t bend the right way. We did manage to “perch” her on though – pictured above. The set is easy to put away, and all fits back in the box – a huge plus for me! All told, I really like this playset and would highly recommend it. 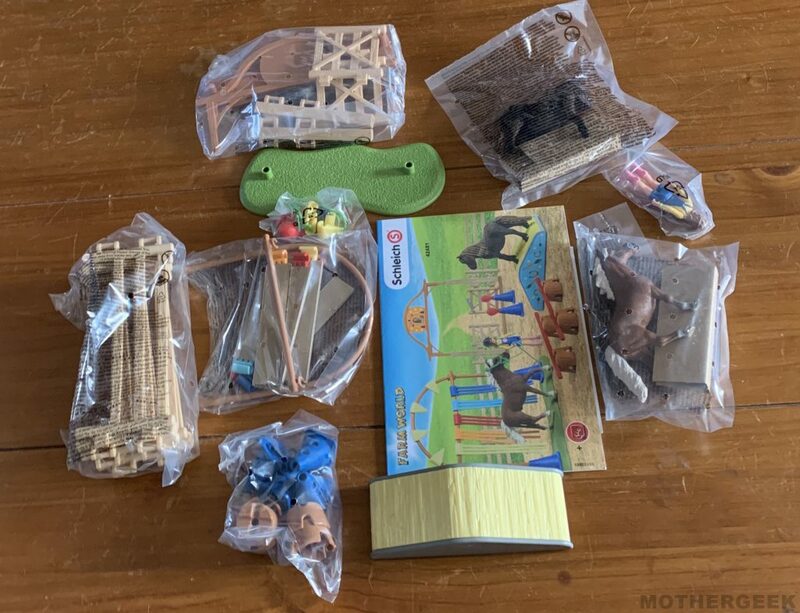 So much so, I’m going to get Sam the Barn and animal play set too, once it’s out! Both are available from Smyths from next month! 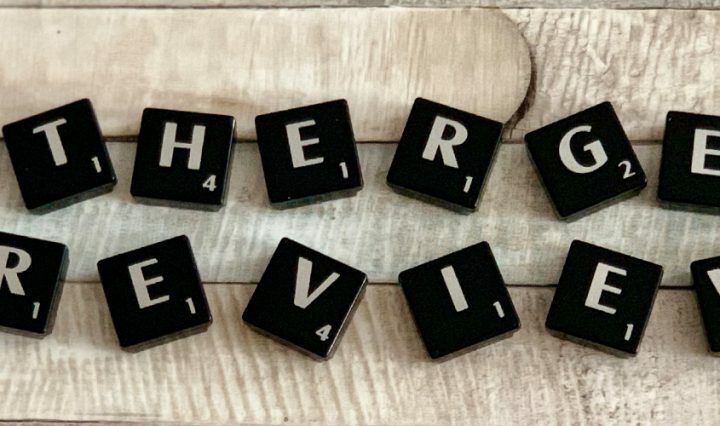 Finally, we were sent this set to review, but all opinions are my own.